Owning a pool is great. But, some problems can occur with your pool. Read on to learn about the most common poo problems. There are 10.4 million residential swimming pools in the United States. While swimming pools are great for hot summer days and birthday parties, they also come with some unwanted hassles. It's important to understand common pool problems that every pool owner faces. By knowing what to look out for and how to care for your pool properly, you'll have a pristine swimming pool that can be enjoyed year-round (or at least when it's warm outside). Here are some common pool issues you should know about, and what to do about them. A healthy pool should have a clear/blue color. But we've all encountered a pool that looks musky, green, and completely unswimmable. Pools that have a green color are likely infested with harmful algae, which is the most common pool problem homeowners face. Algae typically infests pools that have too low of a chlorine level. If your pool is beginning to look green, it's a good idea to hire a pool maintenance company to get rid of the algae. Then, you should increase the amount of chlorine in your pool to prevent future algae infestation. While chlorine is great for keeping algae from your pool, too much chlorine can be just as problematic as algae. If you get severe eye irritation or find it difficult to see underwater, you may have too much chlorine in your pool. The best way to know how much chlorine is in your pool is by measuring it and making sure those levels remain consistent. Your pool circulates water, and that circulation can be disrupted if your pool filter is clogged. Pool filters become clogged when pools aren't cleaned regularly. Things like dirt, leaves, bugs, and more will clog up your pool filter and make it ineffective. If you notice your pool has significantly more debris than usual, check the filter. If the filter is clogged, simply clear out the filter and clean your pool. To prevent future filter clogs, try to clean your pool regularly and clear out the debris. Poor circulation can be caused by clogged pool filters, but also from a couple of other issues you should know about. If you find your pool isn't circulating properly but the filter is clear, you may have a blown fuse or other electrical problem. Another reason the circulation is poor could be due to a hole in the airline. If your pool airline is leaking, your pool will no longer circulate. 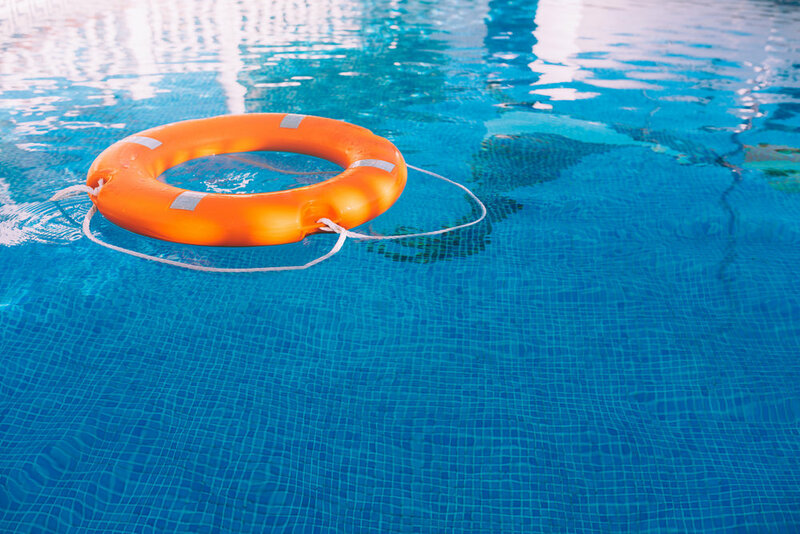 Get a pool repair company out right away to repair any airline or electrical damage that's preventing pool circulation. Say Goodbye to Pool Problems! Don't let your swimming pool become unswimmable this summer. Take preventative measures and know when to recognize common pool problems. The best way to take care of your pool is to have regular pool maintenance to keep your pool pristine. Contact us today to learn more about the services we have to offer residential and commercial swimming pool owners!